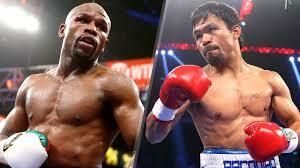 This week boxing fans around the world watched one of the most anticipated boxing matches in decades. It’s been a while since I have brought up the subject of this brutal sport. As some of you who have read this blog for a few years know, I was a serious addicted boxing fan prior to my conversion. Allow me to regress a little and go back into my history. Since a young teenager I found the sport of boxing fascinating. The one on one challenge, the pure exact and measured movements, the power, all this captivated me. You could not get me away from a big fight. I don’t recall anything that I would put before it, and yes that would include an important date. But as I posted a few years ago, when I decided to convert, the Lord sent me a dream to warn me about this idol. He saw I wanted the Lord and boxing too! Well, needless to say, this was cut out and I have not looked back since. Our Lord warns, “And Jesus said unto him, No man, having put his hand to the plough, and looking back, is fit for the kingdom of God.” (Luke 9:62). When we turn from this idols, or habitual sins, we must walk away from them and not look back. This week, however the spirit of darkness did not stop from tempting me. I was strongly pulled to get a newspaper and read about the fight. I Thought, maybe it’s ok because I really don’t do that anymore, so it’s just a rare once in a while thing. Additionally during the fight, I was tempted to check the computer for round by round live updates. However Scripture again was my strength. When I was tempted the Lord reminded me of not looking back. For I knew to do such a thing would indeed be seriously wrong. But the short see-saw battle gave rise to the idea for this post. You see, we as God’s remnant are called to take the “higher road”. That means we are to walk the upright walk and focus on doing the right thing at the right time. Another reason I was guided to do this post was a short conversation I had with a church member this last Sabbath. As we were leaving the service I asked him if they would like to come over at 6 pm for a Bible study at my home. He said, “Would like to but we are going on a nature hike, then over to some friends to watch the Mayweather/Pacquiao fight”. I thought for a second then said, “The Lord told me to quit watching that.” He smiled and went his way. But I thought how the many in our church really need guidance. Only a few really want to get that one foot out of the world. The wide road entangles them and they carelessly proceed on. Boxing is just one of Satan’s ploys. Today the youth are often trapped with the handhelds and the FB, tweets,YouTube, games, chat lines, etc. They spend most of their waking days slumped over wasting time with the multitude of electronic gadgets available to them. This is a serious idol , not only with the youth but adults as well! Don’t get me wrong the Lord has allowed this electronic explosion to further His message, and for that we are eternally grateful, but we should be careful that the worldly distractions do not infringe on the work. “As a general thing, the young among us are allied to the world. But few maintain a special warfare against the internal foe, few have an earnest, anxious desire to know and do the will of God. But few hunger and thirst after righteousness, and few know anything of the Spirit of God as a reprover or comforter. Where are the missionaries? Where are the self-denying, self-sacrificing ones? Where are the cross bearers? Self and self-interest have swallowed up high and noble principles. Let’s look around us at all times, watchful that Satan’s snares of worldly entrapment do not trip us up. Sure it’s a fleeting pleasure, but the looking back at sins we have forsaken may harm us for eternity. In these last days snares are all around us. We can only survive Satan’s traps if we cling to Jesus and keep our focus there. I would dare to say, it is better to be bored and stair at four walls than to enter one of his pleasure traps. Let’s be clear, not all things are bad. For instance, watching TV for a insightful documentary, or some news, can be helpful. Recently the History channel had a series on the Shroud of Turin. Very fascinating. It’s just when we use the electronic device for our pleasure, beholding worldly fashions, foul language, worldly music (particularly drums, guitars, etc. ), sit-coms, time wasting games, etc. In other words, time wasting is something we will be accountable , if we could have used that for studying, helping, spreading the message to help our brothers and sisters. In closing, as we have posted a few weeks back, the end time signs are all there, time is short. Let us not be found wasting time. Fleeting pleasures are not worth it. Eternity stands at our door. One of the most tragic and sad situations of our Christian walk, is that of –backsliding. A verse in Bible reminds me of this folly. “As a dog returns to his vomit, so a fool repeats his folly” (Proverbs 26:11). Wikipedia describes backsliding as follows ” Backsliding, also know as falling away, is a term used within Christianity to describe a process by which an individual who has converted to Christianity reverts to his pre-conversion habits and/or lapses or falls into sin, when a person turns from God to pursue his own desire.” Let’s look into this backsliding and how with God’s power we can recover from it. Backsliding comes in basically three stages. 1) A temporary slip or fall. Meaning we make a spiritual mistake and fall into temptation but quickly realize our transgression and repent and turn from that sin(s). 2) We slip and fall often and repeatedly, off and on. Our walk is strong, then weak and we seem to have stages of success then just as sure stages of failure. 3) We slip and stay fallen for extended periods. The last stage (3) is most dire spiritually. We won’t dwell much on that, as it really is a situation where one has made no real commitment and repeated prayer and fasting is a must! As we are well aware, only those who “overcome” will be allowed to sit on the throne with our Lord in heaven(Rev. 3:21) That means that while we will have occasional slips and falls, we must in fact overcome them. Our cherished sins are to be no more.But what do we do when we slip and fall? Let’s look at the 2nd case scenario. The 2nd case people are most likely to be the “grace abusers”. Definitely these would include the outlandish believing “once saved always saved” crowd. Grace abuse is described in (Romans 6:1) “What shall we say then? Shall we go on sinning so that grace may increase?” Those who repeatedly fall often think that grace will cover them, in effect they do not claim the Lord’s power to help them overcome sin. I have often heard and read where people use the standard worn out line “Oh, we’ll never stop sinning and the Lord accepts us anyway.” If that’s the case why did He say –we must overcome? The ones who claim that their weaknesses are incurable, will never be able to say that they –overcame. So we see that those we repeatedly slip and fall, are in need of serious alignment of their spiritual values. Let us never forget the equally used quote, but this one is spot on– The Lord saves us from our sins, not in our sins. Our prophetess made a clear statement in regards to overcoming. “Let no one say, I cannot remedy my defects of character. If you come to this decision, you will certainly fail of obtaining everlasting life” (Christ’s object lessons, p.331). These people need to “hit the books”, start a serious undertaking in studying the Scriptures, Ellen White, and our last prophet–Victor Houteff. They need to receive the Spirit of Truth. As the parable teaches, they must be planted in “good ground” (ie. inspired truth) instead of walking halfway in their walk with the Lord. As we have learned from prior studies, our Lord will begin judgment for the living in his church soon(before the plaques come), we can’t afford to be found partly converted. The implication from our Lord’s above words is that , though we think we are clean, we are not fully. It will only be once we arrive back in God’s kingdom, the holy land in Israel, that we will be made fully clean in God’s sight. For those of you who have missed the posts on the future kingdom to be set up, see “Thy Kingdom Come, part 1 and 2. Please do not mis-interpret the Lord’s words above. When we are to be fully clean, that means we will be cleansed from sins we have even though we are not fully aware of them. We shouldn’t say ” I can have some idols and do a few sins here and there, because the Lord understands and will clean them in the future”. No, it does not mean that. This would be a contemptible attitude and calls upon our Lord to ever expand His grace. Again, (Romans 6:1) applies. The occasional slip or fall (into sin) must not degenerate into a often slip or fall. Our Lord made that clear in (John 5:14). “… See, you are well again, stop sinning or something worse may happen to you.” The falls can become so frequent that things begin to unravel. The devils then influence us so thoroughly that we backslide into case number 3. Speaking of the devil, let’s discuss his active role in backsliding. As we’ve mentioned in our post under God’s light, we showed that the ones who are actively walking daily in His Commandments and truth shine the brightest. As the Angels and devils see this, some are noticed more than others. The devils focus primarily on the bright shining ones, as these are the ones they despise and want to corrupt. So it stands to reason that the cleaner and straighter your walk with the Lord, the more and harder will be the temptations. But this can be met fully with the Lord’s power. That is key. In these very last days, the devils, at Satan’s command, want nothing more than to make those who are converted to backslide, the more the better is their goal. Recently I slipped and fell. I reverted back to an old cherished sin. I did it and quickly realized my mistake. I felt real bad. I knew better yet I submitted to stumbling. But the next day, after coming clean and repenting of my sin, our merciful Lord gave me a vision. In it I saw myself laying on the ground looking up to the Lord who was standing above me. His arm was stretched out, to grasp my hand and raise me back up. It brought tears and I was so moved by this vision. Our Lord was letting me know, He forgave me. This is the kind of merciful Lord we serve. A King who understands that the devils have put many stumbling rocks in our path and we may slip and fall occasionally. Our walk is precious to Him and He wants us to “overcome”. Are we going to get right back up after stumbling and steer away from that crooked path? Yes, we must.